Sneak Peek: Lobby Editor To Go! 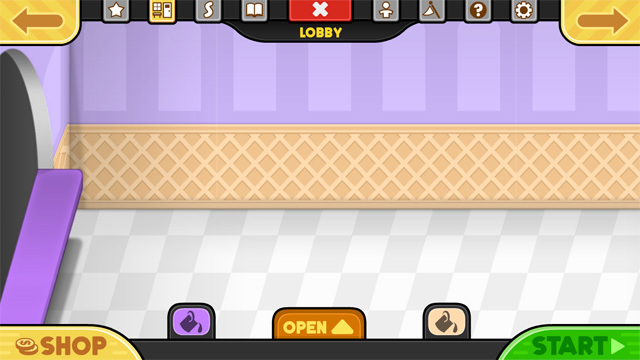 This week we are showing off the brand new Lobby Editor in Papa’s Scooperia To Go! For this new game engine, we put the Lobby Editor directly within the main menu system. So this way the Lobby Editor can be easily accessed via the left and right menu flippers. To access all your lobby items, just click on the Open Button. From there you can scroll through your Furniture, Posters, Wallpapers, and Flooring. 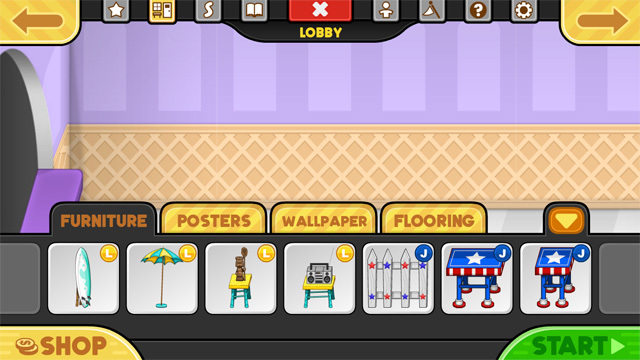 Just drag furniture and posters into the lobby and arrange them however you want. For ease of use, we limited the furniture placement to two separate rows instead of the normal three-rows you would find in the HD versions. 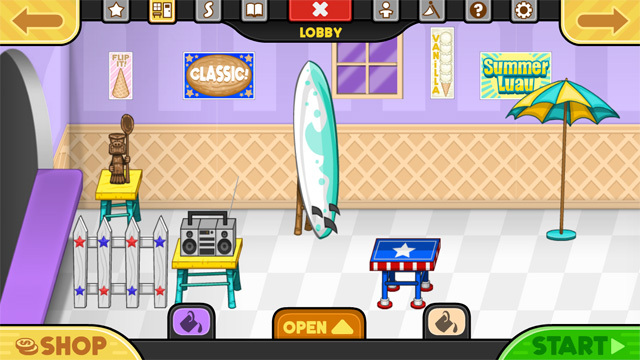 Unlike To-Go games of the past, you can now fully customize your lobby with separate wallpapers, floorings, trim colors, and counter-top colors.